You won’t realise just how essential this item is until you own one. Then, you’ll wonder how on earth you managed without it. This thin but sturdy and waterproof blanket folds up into its own pouch and takes up such a tiny amount of space that it’s an essential to keep in your purse, bag or glove compartment. When will you use this simple but genius product? On the beach. 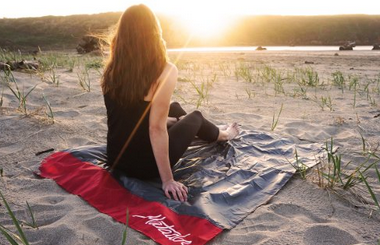 It takes up hardly no space in your beach bag and is completely waterproof – no more sitting on sandy soggy towels! In the park or at the countryside. Have you ever been out walking and wanted to sit for a while to enjoy the scenery or read your book? And have you ever been thwarted because of wet grass or because you’re not too sure about the hygiene of the ground? I have used this to sit on our deck. The wooden deck is an old one and I don’t want to risk having splinters in a delicate part of my anatomy! 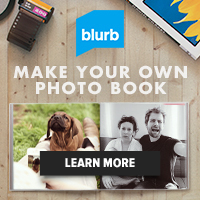 I’m sure you’ll find dozens of other uses too. My neighbour uses his when he’s kneeling on the ground detailing his car! 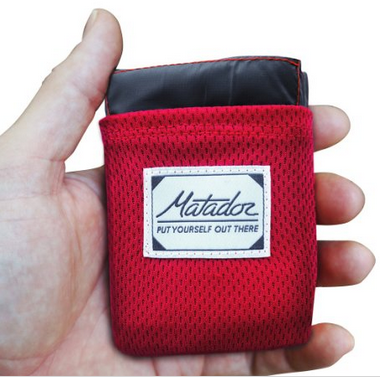 I heard too of someone who had read a rather worrying report about the lack of hygiene on aircraft seats (I won’t scare you with the details but they’re not nice) and he said that the Matador pocket blanket covers the seat and armrests and gives him peace of mind. Another user mentioned how it can be used as a rain ‘garment’ if you’re caught in a sudden shower without a raincoat or umbrella. 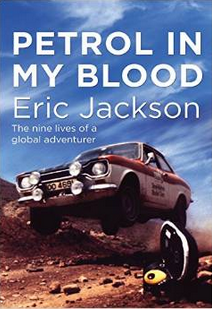 This makes a tremendous gift for the ‘adventurers’ in your life. 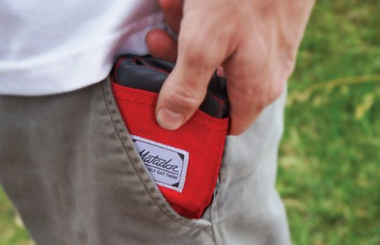 Country lovers or urban dwellers, everyone will find many uses for the Matador pocket blanket. Note: Although this is referred to as a blanket, the Matador does not provide warmth in the way a traditional blanket would. If this is a concern for you, add a traditional blanket to your emergency kit.